BioWare Austin, the studio behind Star Wars: The Old Republic, is laying off staff. Details are very thin at this point but a message posted by Greg Zeschuk in the Star Wars: The Old Republic forum this morning revealed that a number of employees have been laid off following "restructuring" at BioWare Austin. "Sadly, we are bidding farewell to some talented, passionate and exceptionally hard-working people who helped make SWTOR a reality. Impacting people's lives this way is always very hard, but we're ensuring the affected people are treated with dignity, fairness and respect," Zeschuk wrote. "We still have a very substantial development team working on supporting and growing the game, and we feel we are in a strong position, with your continued involvement and feedback, to continue to build Star Wars: The Old Republic as one of the most compelling and successful online experiences in the world today," he continued. "Rest assured that we remain dedicated to delivering a high quality service in SWTOR to you, our fans, and we will continue to support and grow Star Wars: The Old Republic over the weeks, months and years to come." Shortly after it launched in December 2011, Electronic Arts said Star Wars: The Old Republic was the fastest-growing subscription-based MMO of all time, with 1.7 million users in February. But in May, that number had slid to 1.3 million, a drop sharp enough to make even the most optimistic fan nervous. According to a statement from Electronic Arts, some BioWare Austin employees will be offered jobs with other projects at EA, while others will simply be let go. "These are very difficult decisions, but it allows us to focus our staff to maintain and grow Star Wars: The Old Republic," a rep said. "BioWare Austin remains a large and important part of BioWare and EA." 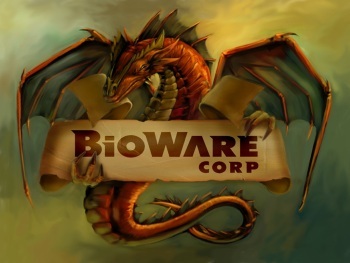 BioWare has not yet revealed how many employees have been laid off or from what departments, so we'll update when we find out more. As always, our best wishes go out to everyone affected by the cuts.